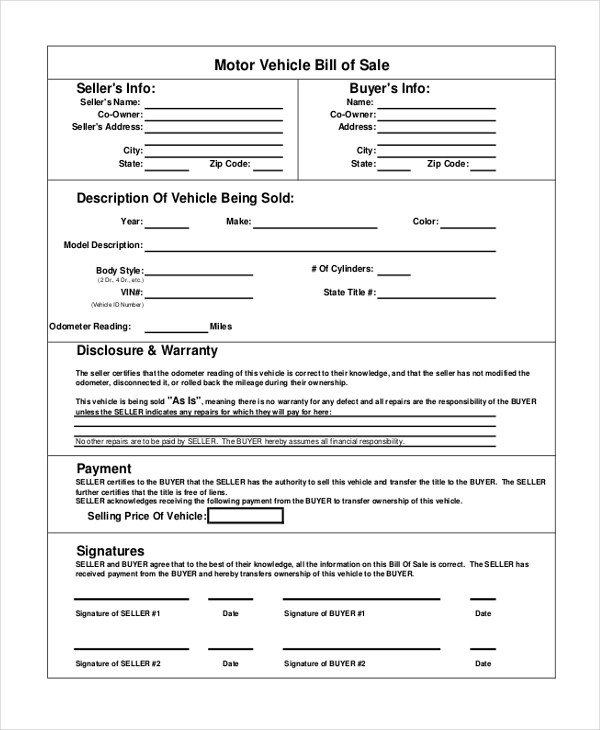 A car sales receipt form is available in multiple layouts and formats. In case you require something simpler in the category, there are straightforward receipt formats available. Several fields are pre-given in the template itself, and it basically print-ready. You could of course insert company logo and details. 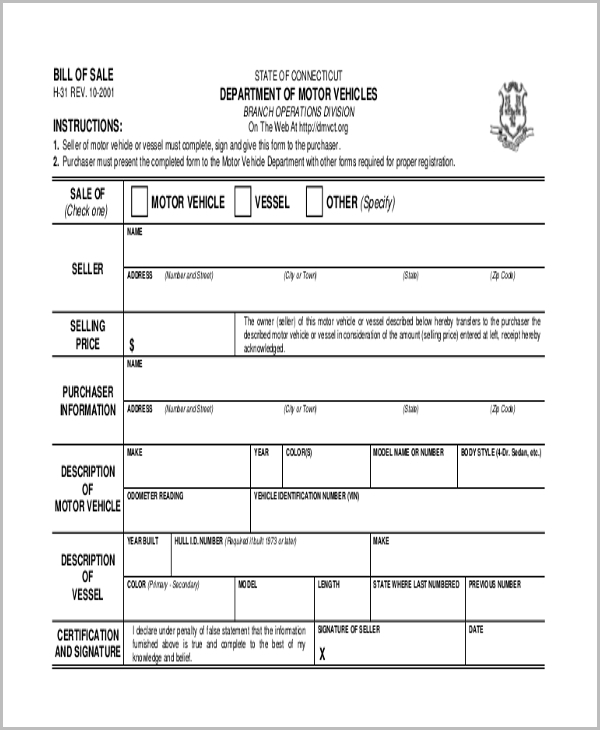 When you purchase a motor vehicle, the seller will hand out a receipt which is in fact very similar to a bill form. 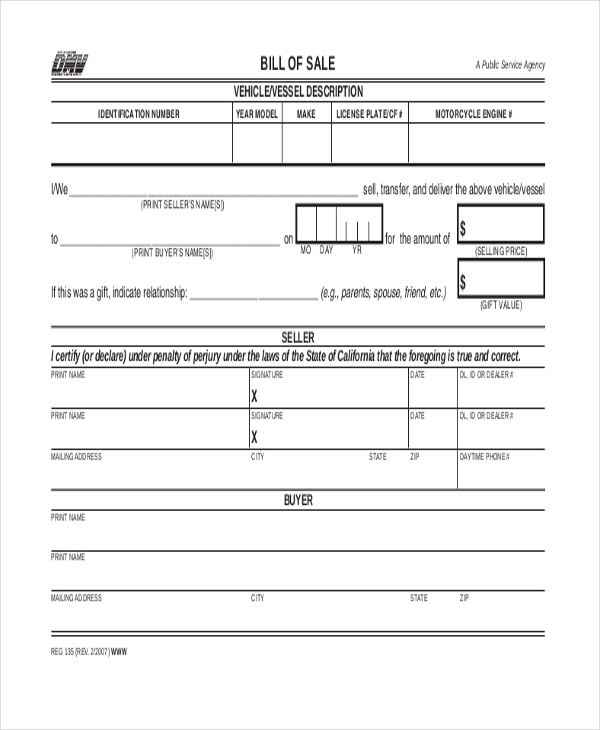 This is mandatory for record-keeping purposes. 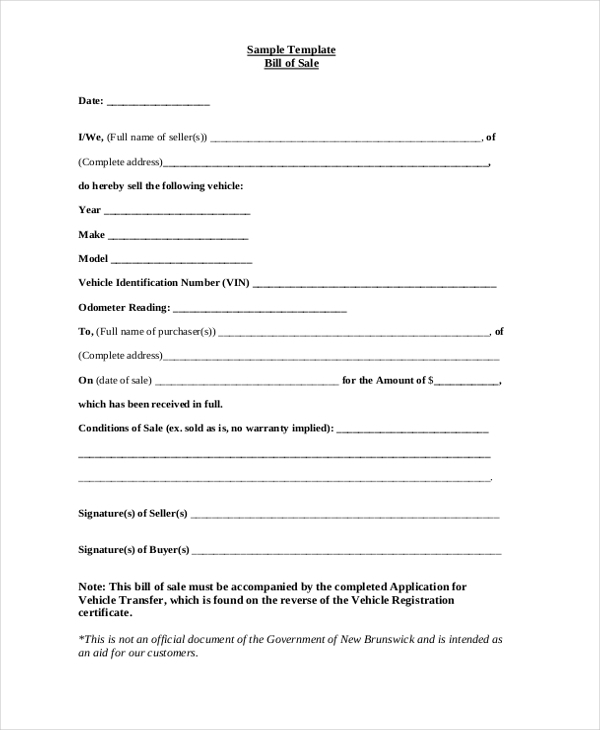 The form is supposed to include multiple fields wherein details about the motor vehicle and buyer are to be included. 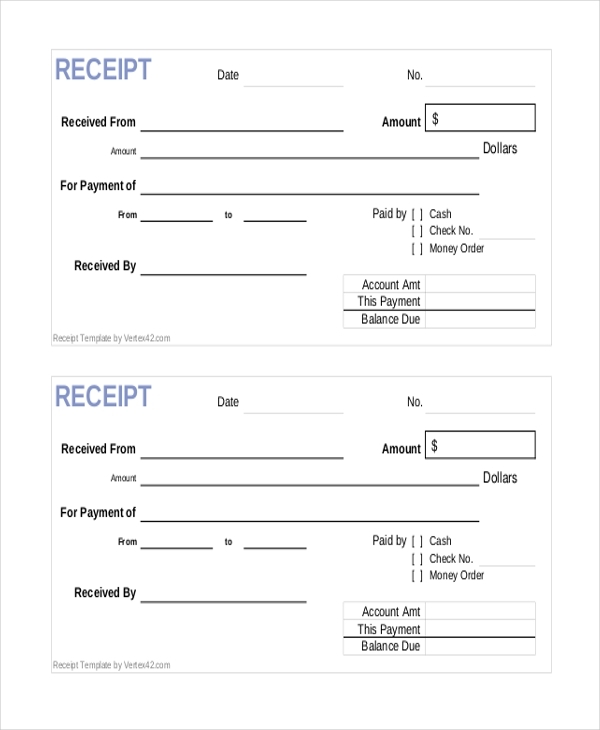 In case customers pay for items in cash, a cash receipt is due to be given to them in return. If there is a balance amount due, the same must be specified numerically in the box provided. If a customer has paid via check or money order, the relevant box needs to be ticked. Many individuals would like to or need to purchase second-hand or used cars. In such scenario, a contractual document which also acts as a receipt for the transaction, needs to be duly filled out by both buyer and seller stipulating the details of the sale. When a buyer purchases a motor vessel or vehicle of some kind, state clearance is a standard procedure. In those settings, a different format of bill of sale is required. Details of the sale need to be furnished to the T along with the signature of the seller. 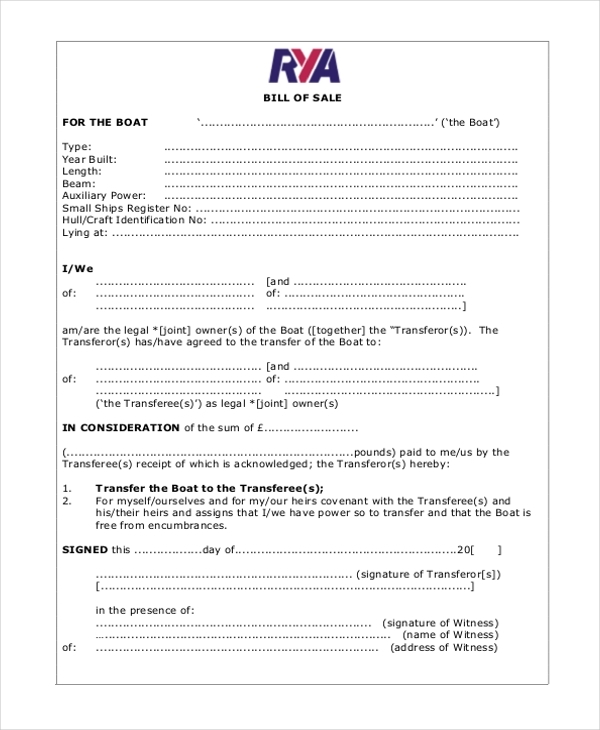 Boat purchases are also supposed to be recorded in a bill of sale receipt. The receipt contains fields such as type of boat, year of build, length, beam, auxiliary power, identification number, and many others. If you’re going to buy a gun or any other firearm, along with a license you’re also going to need to show a bill of sale for the same. The bill contains a set of rules and regulations for possession of a firearm, as well as details about the buyer and the firearm purchased. 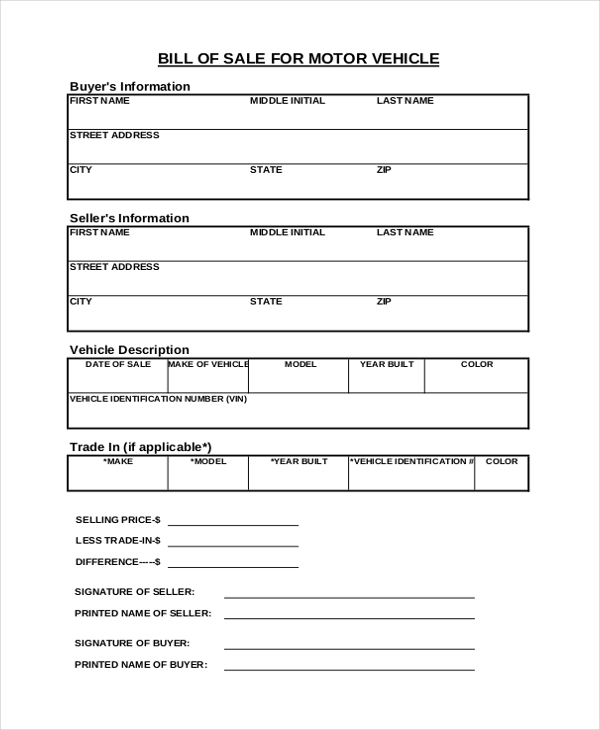 If you prefer simple bill of sale format for your motor vehicle shop, you can always opt for a format which is straightforward, contains just the necessary fields and doesn’t require you, the owner, to have to do much. In the business of vehicles and automobiles, it is a given that a bill invoice will be generated. 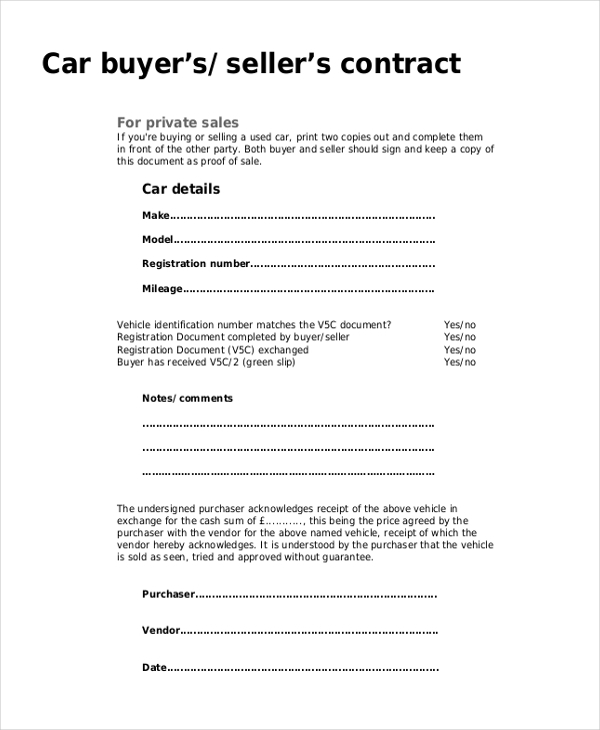 A bill of sale form in the automobile business is a comprehensive one. 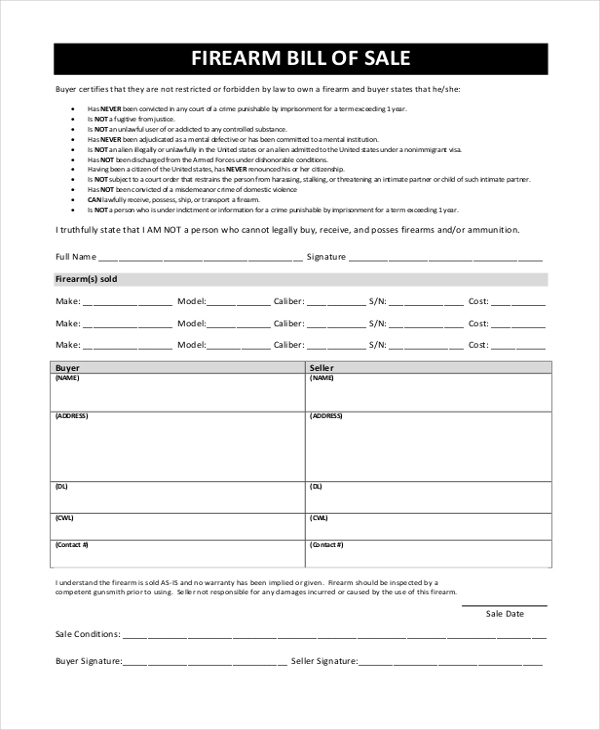 The format contains various fields and it is a must that all of the contents be filled out correctly. The target audience of sales receipts is customers, buyers and sellers. So long as you’re buying or selling a service or a product, a sales receipt is going to be an important and useful document for you. It not only acts as a legit document justifying a sellout or a purchase, it also contains a record of the services of products which were part of the exchange, and the respective costs or prices are also mentioned. The format of sales receipts varies largely due to the different requirements of different businesses. There is standard format available, but even fancier receipts are also gettable. There is never going to be a lack in the supply or demand of sales receipts. Whether you work in the private sector or in a government outlet, the sales receipts system is not going to disappear anytime, and for this precise reason the popularity of receipts is going to remain intact.